See why everyone wants a Shed Boss Shed! I chose Shed Boss Fleurieu due to their quality of product, their skilled labour, excellent service, good customer communication and professionalism. Shed Boss Fleurieu was the best choice we have made for service and value for money! Qualified Builder: Between our Bluescope products and ShedSafe™ accreditation from the Australian Steel Institute, you can be assured that a team of highly qualified professionals are taking care of the construction of your product. It means you'll get a high quality construction, and one that will have the appropriate permits organised by the Shed Boss team. The materials and building all meet the Building Code of Australia as well, ensuring product safety further. Custom Designed: Every client is different, and we take the time to listen to you so we can custom design to your exact needs. While we're committed to providing our clients with great looking, custom designed sheds, we also know that the little things can be just as important. We will also make sure that your shed is designed to be suitable for your site, taking into account specifications that deal directly with the location of your shed, design wind speed and the land it sits on. Council Approvals: Obtaining the proper permits is an essential part of the building process. Shed Boss Fleurieu will help you obtain the proper development approval and ensure your custom designed shed is built in accordance with the law. Third party approval of our buildings: When you work with Shed Boss you are buying a structure that comes with ShedSafe™ approval. This means that a third party will inspect the engineering and design calculations and principles, as well as the plans, before construction begins. This means you don't just have to take our word on the safety of your structure – a qualified third party structural engineer can give you full confidence and peace of mind. Complete Project: As we're a licensed builder, we take care of the concreting and construction of your shed too. 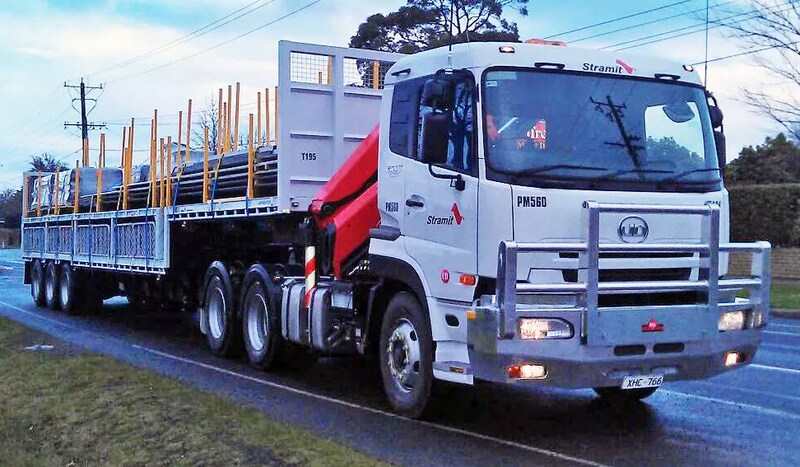 Regardless of the job, Shed Boss Fleurieu is your one-stop shop for design and construction. Insured: For peace of mind, we inure our building work until completion. We also have all necessary insurances including Workers Compensation, Product and Public Liability and Building Indemnity Insurance when required. 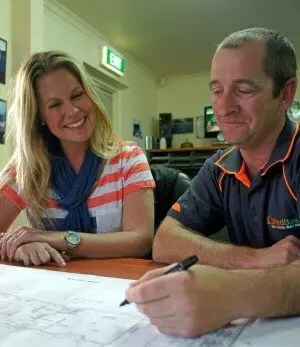 Open Communication: Shed Boss Fleurieu is dedicated to keeping our clients informed of progress every step of the way, from the designing stage to the finished product. When it comes to something as important as your building needs, we believe open communication is essential. When it comes to something as important as building, it's hard to overestimate the value of our complete project service, where all aspects of a building project, from design to project management to construction are taken care of for you. Having one builder involved with your building project from beginning to end comes with many benefits. Learn more about our complete project service. Warranty Condition: "Steel roofing Base Metal Thickness (BMT) of 0.42mm or greater and steel walling with a base metal thickness of 0.35mm or greater". Shed Boss buildings feature heavy duty 0.42BMT cladding on the walls and the roof. Warranty Condition: "Materials must be erected on a concrete slab footing". Shed Boss pour the concrete slab prior to construction - we do not pour concrete inside the shed after it has been built. Pouring concrete inside your shed will result in accelerated corrosion due to contact with wet cement, which is strongly alkaline, and the shrinkage of cured concrete which enables the build-up of dirt and debris left in the gap left between the slab and the wall.Be aware of shed retailers or builders that insist that a “plastic membrane” between the concrete and COLORBOND® cladding will remedy this problem, as all sheeting must maintain a drip free edge. In addition, the plastic membrane will increase condensation, and cause dirt and debris to accumulate. Most sheds are designed and built in Australia, but in some instances the shed and the steel can be made somewhere else. 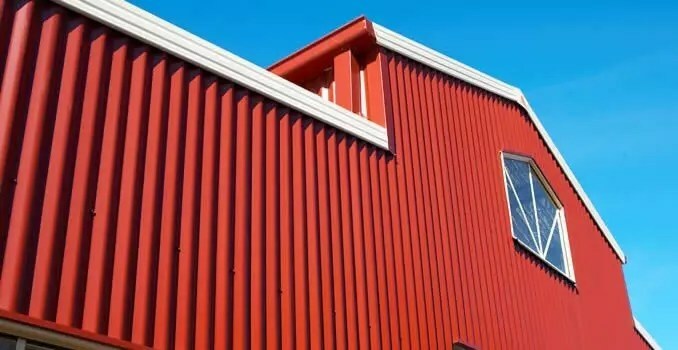 Shed Boss sheds is manufactured with steel made by BlueScope, which is 100% Australian made and guaranteed to meet or exceed Australian standards. with a zinc/aliminium substrate that lasts up to four times longer than some imported galvanised coatings. We custom design and build to your exact requirements. One thing to remember is that a new installation like a shed will only add value if done correctly. In fact, shoddy work can actually detract from the value of your property. How you plan on using your custom designed shed should determine its size and shape. Other building considerations, such as doors, windows and ventilation, will also need to be taken into account. With custom design, you can ensure you have the right space for the right job. This is part of the ShedBoss difference. Great Looking Appearance: We're dedicated to quality craftsmanship. This means constructing custom designed sheds that will not only stand the test of time, but also add value through appearance. Part of this is our commitment to using only premium-quality materials. Another factor is our devotion to working with clients every step of the way, from design to construction. This ensures you're always up to date on how the finished product will turn out. What's more, these are galvanised materials. The Galvanisers​ Association of Australia says that this is a cost-efficient, sturdy and corrosion-resistant method of protecting joints. This makes it an ideal answer to your concerns about the strength and safety of your custom designed shed. The importance of shed safety can never be overstated, and this begins at the foundations and construction of the building. Engaging Shed Boss and getting Morinda bracket joints as a crucial part of your shed offers a great degree of safety that means you can rest easy while you undertake your work. Plus, the pre-punched hole centres allow for huge time saving during installation and are superior to single plated or welded brackets. Remember, this is the most important engineering point in your shed. Both sides of the knee joint should be securely fixed. Don't settle for a single plate system when you can have this superior full wrap around Morinda™ Glove Section. 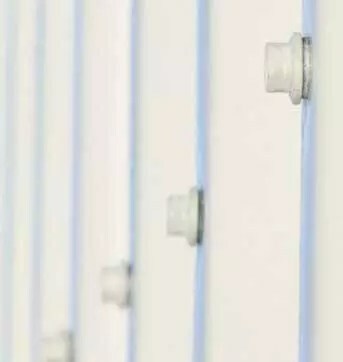 The durable weatherseal prevents most undesirable material entering your shed from outside when the roller door is closed, with a specially designed aluminium bottom rail reinforcing against intruder penetration. Doors can be automated with a remote control system (with 2 hand-sets) if you require. All new roller doors come with a 12 month manufacturer guarantee on all finished materials, parts and workmanship, plus additional warranty COLORBOND™ painted steel on the roller door. The Shed Boss building is fixed to the same method and high standard as a residential roof. 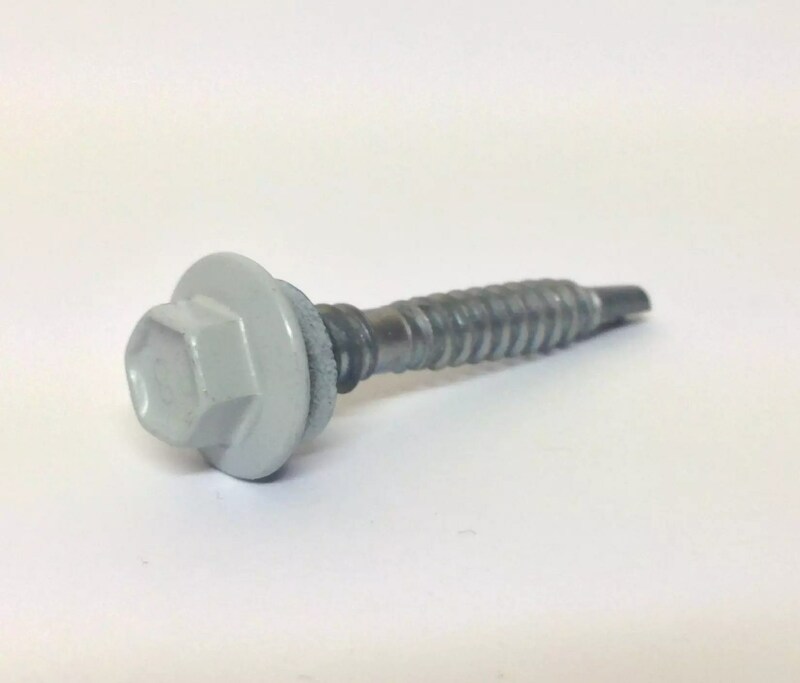 We use full neoprene washers on the roof and the wall cladding, which cushions and seals these self-drilling screws. This eliminates the possibility of leaks and rust, so your Shed Boss building will stay dry and sealed in the heaviest rain. Our footing brackets provide an extremely strong slab anchor, especially when compared to "leg in ground", friction bolts (dynabolts) or chemical anchors (glue). The corrosion protection of the hot-dipped galvanised coating ensures that the design strength of concrete is maintained and the possibility of surface rust staining and eventual corrosion of the footing brackets and spalling of concrete is removed. These are just some of the reasons why Shed Boss buildings are the highest quality, resistant to corrosion, and built to last longer. The steel used in your shed should be measured as BMT (Base Metal Thickness), which is entirely structural material. Some suppliers give measurements as TCT (Total Coated Thickness), which includes coatings (paint), about 0.05mm of extra thickness. This means that a BMT of 0.42mm and a TCT of 0.37mm are describing the same quality steel. Make sure you know the difference as different suppliers describe materials using different terms. All Shed Boss sheds made from BlueScope Steel are specified as BMT and meet Australian Standards for loads. Without any hidden extras ! Gutters are an important component that can protect your shed from serious stormwater damage. That’s why you can have peace of mind as the gutters on Shed Boss sheds are made from 0.55BMT COLORBOND® steel – it’s been tested to withstand everything from drenching downpours to scorching sun for over 45 years in some of Australia’s most extreme conditions. Standard delivery to your site is included in our quotation, with all materials manufactured and delivered within just 2-3 weeks from ordering. *Warranties are offered by BlueScope® steel and subject to application and eligibility criteria. For full terms and conditions and to determine the eligibility of your building for the warranty visit bluescopesteel.com.au/warranties or call 1800 022 999. ZINCALUME®, COLORBOND®, GALVASPAN® and BlueScope are registered trade marks of BlueScope Steel Limited.